Vintage look with premium, modern performance. 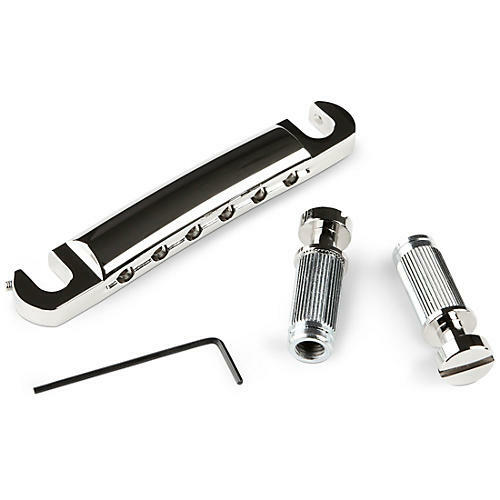 A true to '50s vintage-style lightweight stop tailpiece with the TonePros locking feature. The T1ZSA tailpiece set comes with matching U.S. thread studs. Aluminum provides an extra resonant quality and the TonePros patented locking feature adds significantly improved sustain and tuning stability.